Video from Panama’s Tourism Board for the 2014 parade. 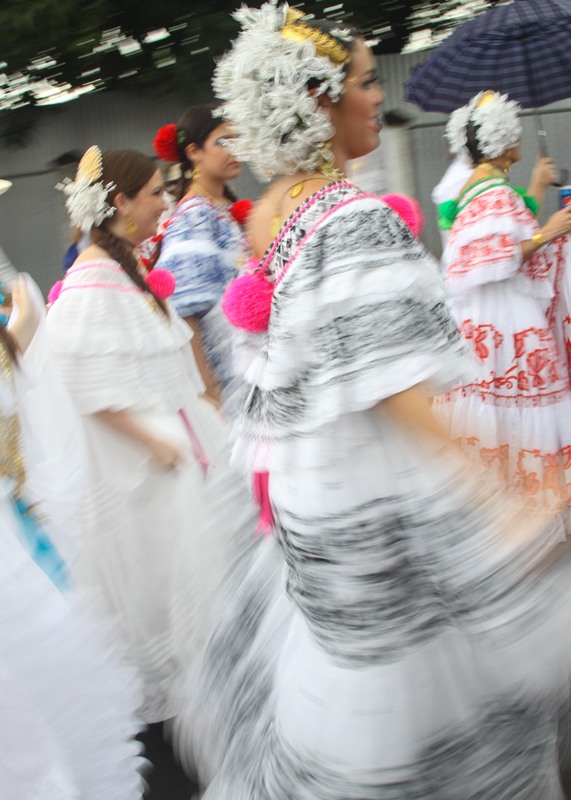 The 1,000 polleras parade has been held yearly in Panama since 2003. 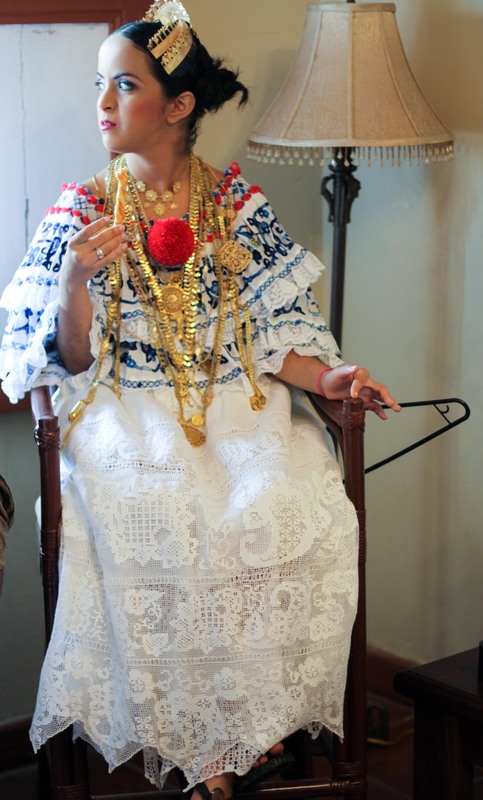 The “pollera” is the national dress of Panama. 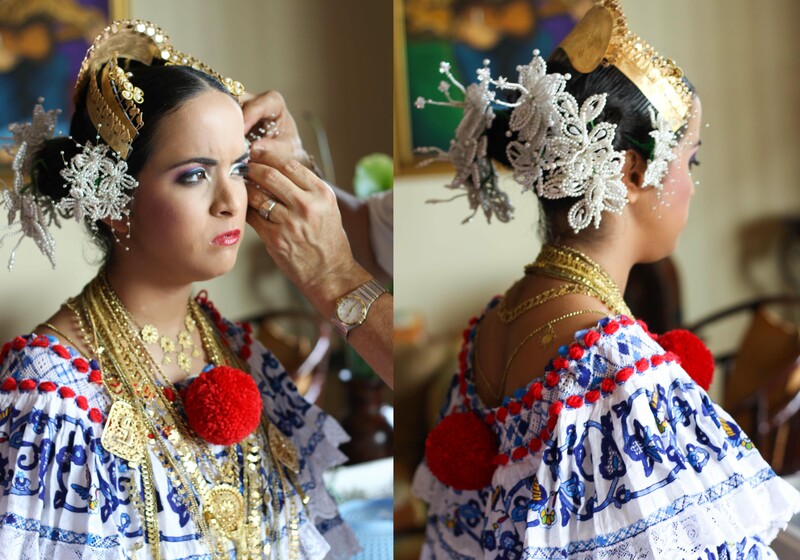 It typically consists of a petticoat, a blouse, a skirt, and is accessorized by “tembleques” and “peinetas” (the head-dress), and traditional jewelry. The very first time it was held, 1,000 ladies wearing the national dress participated. The number of participants has long surpassed one thousand. The latest count was upwards of 20,000 participants. 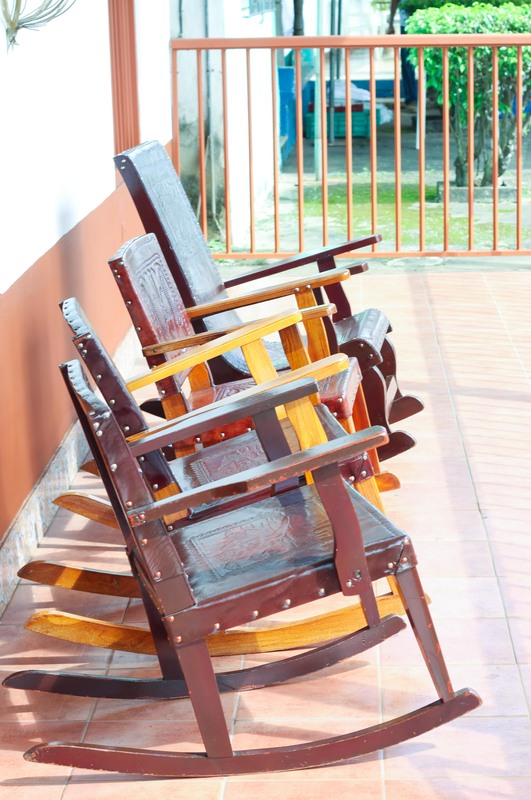 Chairs are placed along the streets, and porches are lined with all available rocking chairs. 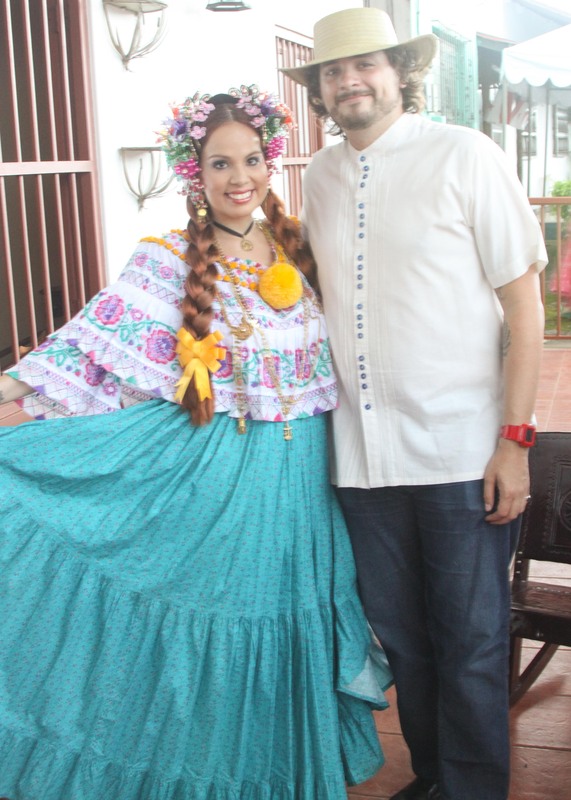 I had the opportunity of visiting the small town of Las Tablas a few years ago when the parade was taking place. 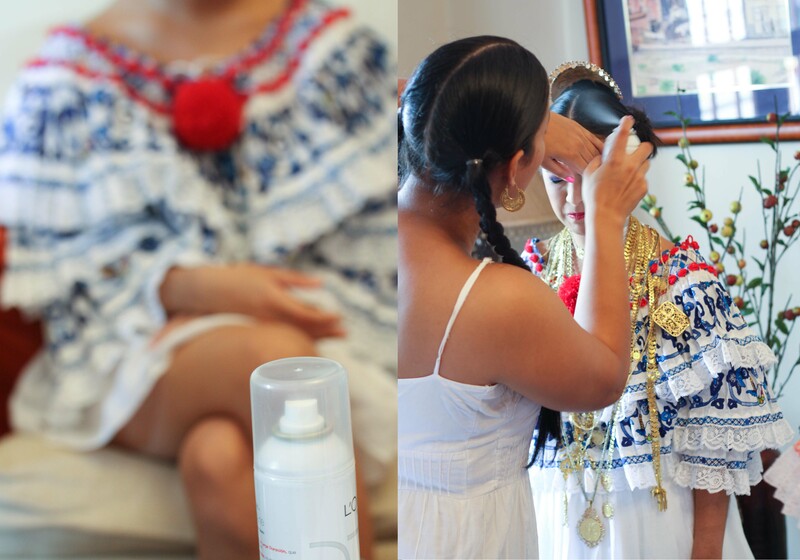 Here are a few photographs of Panamanian ladies getting ready for the event. I’m so thankful to them for letting me get a behind the scenes glimpse at the long preparations. A team of expert stylists arrived early in the morning at the house to help everyone get ready. Polleras can take up to two years to make. Every component is hand-made. 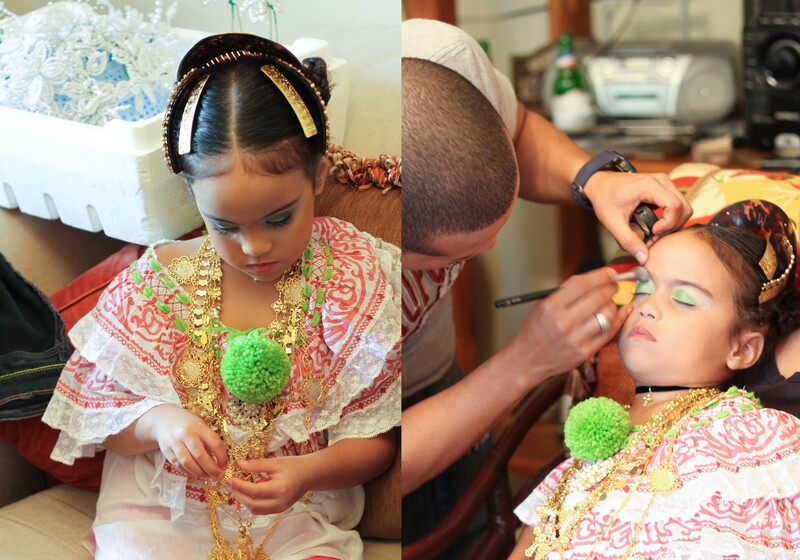 The total cost can be upwards of $20,000 when factoring in jewelry and head-dress pieces. Several different necklaces are worn. 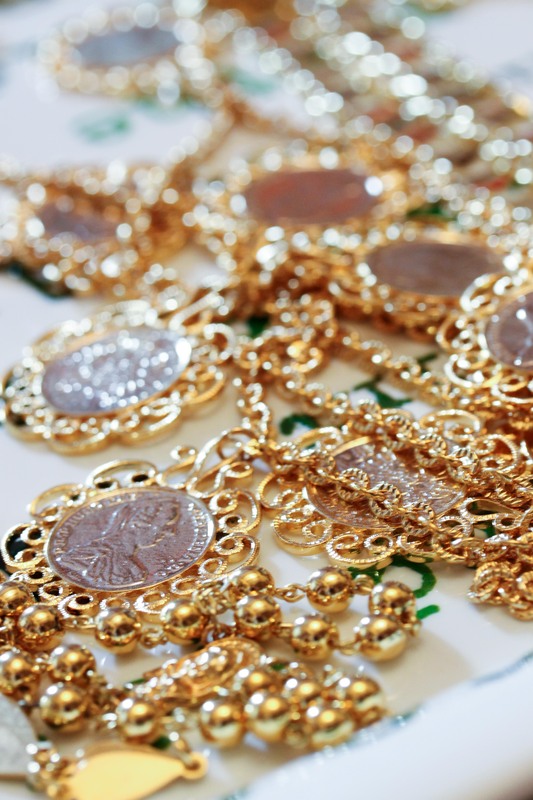 Traditionally these are made of gold. 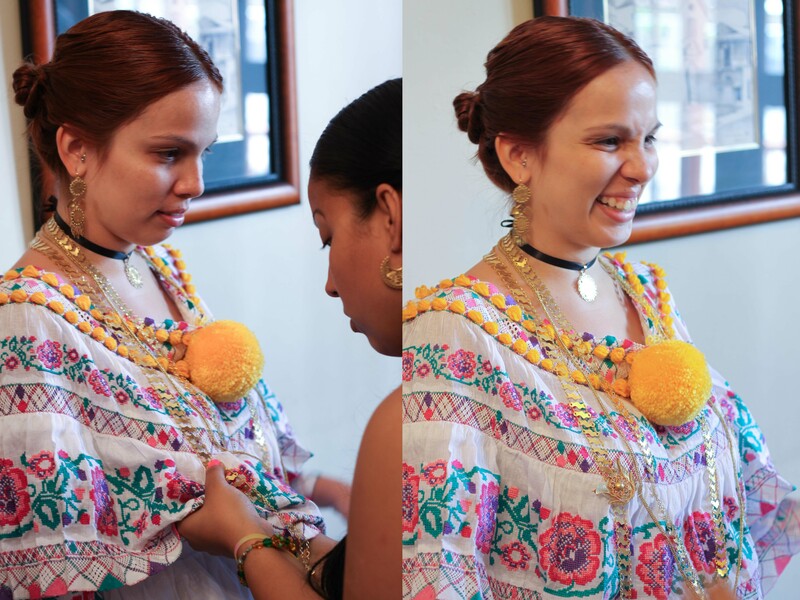 Each necklace is pinned to the blouse to ensure that it remains in the correct position. Hair spray is used in abundance. Traditional tembleques are made out of pearls or fish scales. Nowadays, more colorful ones are made out of beads. Example of an intricate petticoat. The skirt is not worn until the very end. This pollera displays embroidered hummingbirds, can you spot one? Time to get out on the parade route and dance! It was a once in a lifetime experience that I really enjoyed. I could not believe that so many women showed up in their handcrafted polleras and danced, rain or shine. Hope you enjoyed these photos! Next year’s parade is scheduled for January 10th. Accommodations are limited in Las Tablas, so make sure to book in advance. Of course, there was great Panamanian food to be had, but more on that another time. Hairspray is used in abundance, is probably my favorite line EVER in your blog! Bellas las polleras, el traje típico más lindo del mundo! 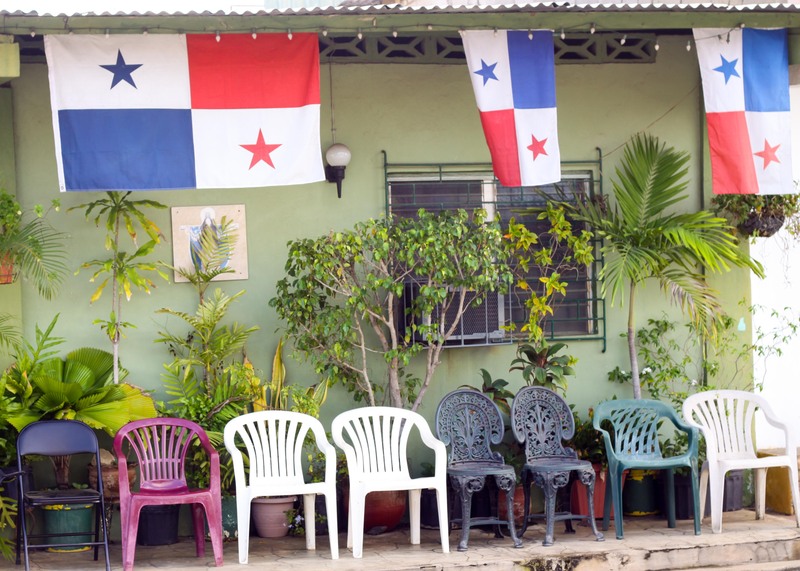 I like the country of Panama. Preciosas las fotos, muy interesante el articulo.